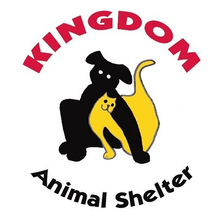 Kingdom Animal Shelter is a limited access, all volunteer, non-profit certified 501(c) (3), animals rescue organization. Our mission is to facilitate the placement of rescued, abandoned, abused or neglected animals in safe, life-long homes. We respect the inherent value of every animal in our care and we strive to prevent overpopulation and cruelty to animals.